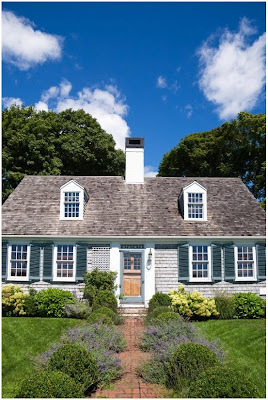 I grew up in a cape house, so I'm particularly fond of them just like my Dad. If you want to learn more about this style go HERE. Ok I'm off- have a good weekend everyone! enjoy enjoy!! take lots of pics and share when u get back. Have Fun! I love the cape and the architecture is my favorite part of it. There is nothing like the Cape in the summer! Enjoy!! where on the cape? have so much fun!! umm did I mention I am so jealous!